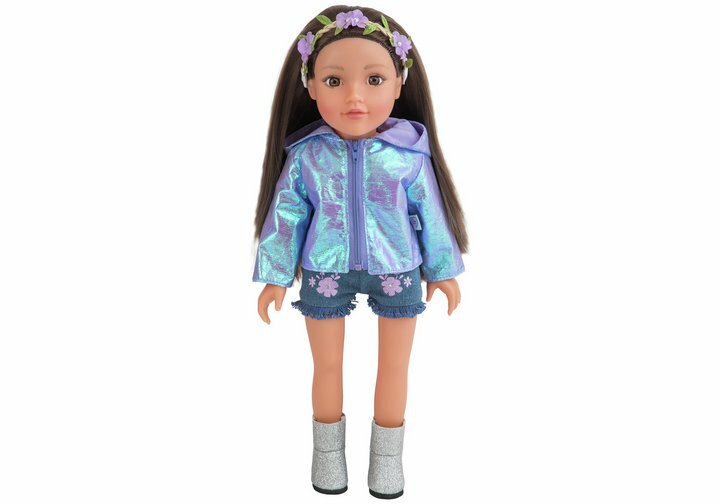 The Chad Valley Designafriend Festival Outfit comes with an eye-catching purple iridescent jacket with stylish zip and hood, a pretty lilac T-Shirt with frayed hem which compliments the jacket and floral patterned shorts. This outfit festival look is paired with pretty glitter wellingtons and a cute flower headband to complete the ensemble. Includes a unique silver charm to be attached to the Designafriend bracelet. Beautifully packaged in a boutique-style box with Designafriend wrapping paper. Size H35, W16, D16cm. Get money off with April 2019 free Argos voucher codes, see if there's a discount code for the Chad Valley Designafriend Festival Outfit product.